It is Victory of the Hawk RELEASE DAY! The Healer has proven her valor. The Hunter has sought his vengeance. Now the Hawk gains his victory–and in so doing, shakes the entire realm of Adalonia to its core. The final book of the Rebels of Adalonia trilogy releases today, O Internets, and I invite you to check it out! If you’re the sort of reader who prefers to charge through a completed series rather than waiting for the next one to come out, you can now do so–and since Carina’s prices are quite good, you can read the whole trilogy on your device for about the cost of a paperback! Thanks to all who have bought and read the first two books, and I hope you all find this a worthy conclusion to the trilogy! Happened to find another Victory of the Hawk review googling this afternoon, and while I am not going to go and engage directly with that review, I will note that the reviewer freely admitted that they had not read the first two books in the trilogy. Accordingly, and, well, justifiably, they were rather confused and this impacted their ability to enjoy the book. So let me emphasize, just to get this on the record: if you want to read Victory of the Hawk, and you have not already read Valor of the Healer and Vengeance of the Hunter, yes, you will be very confused! It has always been my intent that the Rebels of Adalonia trilogy should be considered one big story split into three books, akin to how Lord of the Rings is split into three books. (This being the ONLY scenario in which you will hear me mention my work and Tolkien’s in the same ballpark, heh.) My editor for these books kept trying to get me to write books 2 and 3 to try to allow for new readers coming in, but this is a fantasy trilogy, people. You don’t come into a fantasy trilogy two books in and expect to know what’s going on. You just don’t. So yeah. If you have any interest in reading Victory, and you haven’t already, get caught up and read Valor and Vengeance! Fortunately, you can get the whole series for less than the price of a trade paperback, and comparable to the price of many mass market paperbacks! How awesome is that? You can find all the pertinent links to buy the books on the Valor of the Healer, Vengeance of the Hunter, and Victory of the Hawk pages! And now that Victory is about to release, let me say that I am VERY proud of how this whole story came out. Elapsed turnaround time between a slave girl healing an assassin and the shakedown of the entire Adalonian religious system: three years and three books real time, a handful of weeks in-universe. And if you choose to read Victory, I hope you’ll enjoy this conclusion to the Rebels of Adalonia story! Dara and I will be heading to Norwescon tomorrow! Yay! Y’all will be able to find me at the NIWA table in the dealers’ room, where I and several other members of the group will be joining forces to sell our books. I’ll have print copies of both Faerie Blood AND Bone Walker, so if you’re local and you don’t have the books yet and you want ’em, this will be an excellent time to get copies! I will also be selling copies of the Free Court of Seattle Soundtrack CD on Dara’s behalf, so if you really want to make a fell swoop of it, you’ll be able to get both books and the CD all at the same time! ALSO: for the digitally inclined, I have activated two 20 percent off coupons you can use to buy both books from Smashwords in DRM-free format! The coupon code for Faerie Blood is ZS73N, and you can spend it here. Likewise, the coupon code for Bone Walker is TA27R, and you can spend it here. These coupon codes will expire on Monday the 6th, so use ’em now while the using is good! And if you’ve got the books already, please share the word of these coupons far and wide. Thank you! Speaking of Bone Walker: Dara has now provided me with the official PDF copy of the book. If you prefer to read your ebooks in PDF format, I will be happy to hand-sell this version of the book to you. Directly from me is currently the only way to get this format, so if you’d like a PDF copy (and you’re not one of the Kickstarter backers who already got one), talk to me! And see the Buying From Me page for details on how to pay me for it. MEANWHILE: friendly reminder that Victory of the Hawk is REALLY FREGGIN’ NIGH. Monday the 6th is ALSO important because that’s Victory‘s release date! All preorder links I’m currently aware of are on the official Victory of the Hawk page! One more thing: in case you missed it, the Here Be Magic author group I’m in has been posting our snippets of flash fiction based on submitted words from readers! You can find mine, a brand new Warder universe scene, right over here. Clickie to see what words I got for the March Melange, and how I used them. And go check the blog for other fun scenes as well! Victory of the Hawk is IMMINENT and people are even reviewing it! Just a couple more weeks to go until Victory of the Hawk comes out, which is exciting! Particularly when I stumble across early reviews like THIS ONE at Library Journal–wherein I’m reviewed in passing with a few other titles! Somehow, Highland is able to introduce numerous characters and story lines and connect them seamlessly. Readers will be pleased at how the author ties up these plots and ends the trilogy. The reviewer points out quite correctly that I do not have much overt romance resolution in this book–although there is some. But there’s not much by romance reader standards, to which I note again that I am not actually writing a romance here, so that’s all to the good. And yeah, I’ll totally take this entire review as a lovely treasure! I’ve updated the Victory of the Hawk page with this review’s link, as well as adding in several more links to where you can buy the book. It still hasn’t shown up on Carina’s actual site, but the instant it’s up there, I WILL be letting you all know! And in other news: I have finally received the shipping copy of Victory of the Hawk! Which means I’m going to start needing reviewers for it. So if you’re inclined to leave me a review, on Amazon, Goodreads, and/or on your own site, please talk to me and I’ll set you up with a copy. IMPORTANT NOTE: this is book 3 of a trilogy, and will make best sense if you’ve already read books 1 and 2. If you haven’t read the first two books and you’re up for reviewing the trilogy as a whole, I’ll get you copies of all three books. Tuesday news: New way to order print copies of Faerie Blood and Bone Walker! Now that the Bone Walker Soundtrack is an actual thing that you can actually buy, Dara has taken the liberty of doing a really awesome thing: she’s set up pages on the Crime and the Forces of Evil Bandcamp page to include both Faerie Blood AND Bone Walker‘s print editions as merch associated with the music. WHICH IT IS. And what this means for you, O Internets, is that now there is a way to order print copies of these books without having to come directly to me. Even more importantly, it means that all methods of payment Bandcamp accepts are now ways that you can pay for the book–including credit cards as well as Paypal. You can go straight to the Crime and the Forces of Evil Bandcamp page’s merch section and order the books from there. The page for Faerie Blood is here, and the page for Bone Walker is here! The official pages for Faerie Blood and Bone Walker have both been updated with this information. Moving forward, this will be the recommended way to order print copies of either of these books, since it provides the most flexibility for how to pay. I mention all of the above, by the way, because tonight I got Bone Walker‘s FIRST TEST PRINT, and we’re moving forward with the printing, and so soon I will have COPIES TO SELL YOU ALL. SO EXCITING! On a related note, although I’m now able to take orders for the print books via Bandcamp, I will still accept direct requests to buy the books in either ebook or print form. However, since people keep asking me how to go about paying me for stuff, I have spun off a standalone Buying From Me page on the site that explains what things I can sell directly, what their prices are, and what methods of payment I can personally accept. Please consider this the canonical reference source for how to order things directly from me. I’ll be updating my FAQ to point to it too. 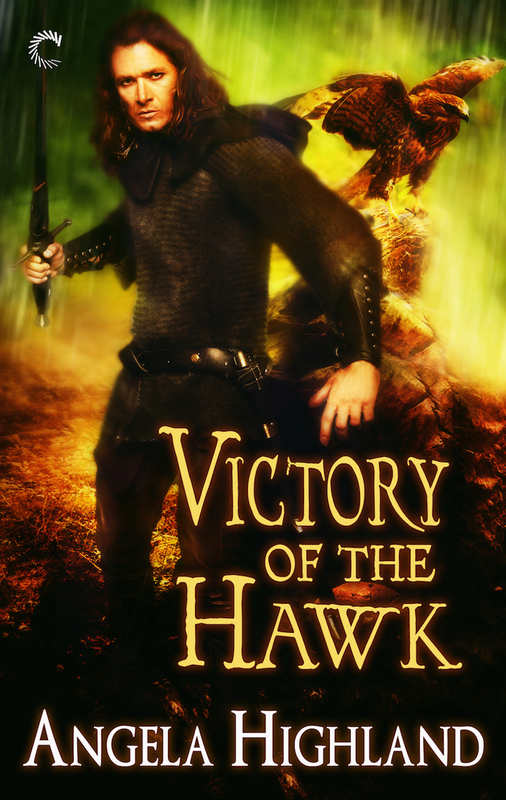 I have an official cover for Victory of the Hawk! \0/ I’m really excited about this cover, since a) it’s gorgeous, b) it’s dynamic, and c) it is a well and thoroughly proper fantasy novel cover. Ladies and gentlemen, mesdames et messieurs, I give you Kestar Vaarsen, Knight of the Hawk, and baron of Bremany! This cover will be getting added to Victory’s official page, and it’ll be added to the lineup of thumbnails on the homepage too! If you missed them over the weekend, I put up two Boosting the Signal posts featuring recent releases from Dragonwell Press–for The Blackwell Family Secret: The Guardians of Sin and Nine Planets. Check them out, won’t you? Dragonwell is the venture spearheaded by fellow former Drollerie author Anna Kashina, and a couple other former Drollerie authors have shown up there too–notably, Cindy Lynn Speer, who wrote The Chocolatier’s Wife, which I adored. Their website is here. And speaking of Bone Walker, don’t forget–Faerie Blood remains on sale for a tidy little 99 cents for all ebook editions! Details are here. As always whenever I put one of my indie books on sale, the price applies to all places where the book is sold, and also to anyone who’d like to buy the book directly from me (which is the best option if you’d like the fancy PDF). And continuing the Bone Walker theme, don’t forget either that the soundtrack for Bone Walker is available for pre-order right over here on Bandcamp! There are preview tracks and everything! Dara’s busily working on the cover art and liner notes for the CD, and if you’d like one of the physical discs she’s having made, a pre-order will be the best way to get it! And speaking of pre-orders–Victory of the Hawk IS already available for pre-order on some sites. I’ve seen it show up on Amazon, B&N, Kobo, and Google Play! So if you’re a customer on any of those sites, do consider grabbing the book. Links are on Victory’s official page!